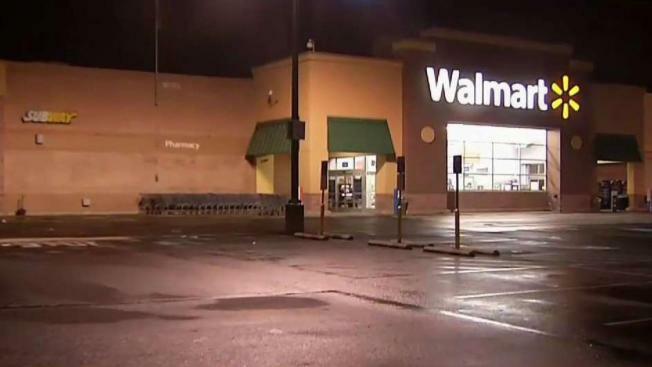 A woman is safe after being abducted from a Northeast Philly Walmart. She was forced into her own car by two men who took her to Oxford Circle and stole her bank card before running away. Police are searching for two men who they say abducted a woman at gunpoint at a Northeast Philadelphia Walmart. The 43-year-old woman was in the parking lot of the Walmart on the 9700 block of East Roosevelt Boulevard Saturday at 4:48 p.m. Suddenly two armed men in yellow construction vests forced her into a vehicle and drove off, police said. The suspects drove the woman to Cheltenham Avenue and Saul Street. They stole her bank card, exited the vehicle and fled eastbound on Cheltenham Avenue on foot, according to investigators. The woman was not injured. Police have not released a detailed description of the two men. Those with any information on the incident are encouraged to call Philadelphia police.